A Security Camera System consists of multiple cameras that can capture and transmit video (and sometimes audio) to a Network Video Recorder (NVR), which records the footage and displays them to a monitor or network connected device. These systems have become very popular in residential, commercial, and industrial applications. Security Camera – Which can be a variety of styles depending on the location and application needed. Network Video Recorder (NVR) – A specialized computer system that records video in a digital format to its mass storage component and includes a software program to manage and display the live and recorded video. Monitor or Network Connected Device – An accessory device that is connected to the NVR via hard wire or internet, which can display footage from your security camera. Common devices include smartphone, tablet or computer. Prevention – Loss prevention is a problem for many companies, regardless of whether they sell a product or service. Security related inventory losses are most commonly caused by theft by employees or customers, or even inventory damage. A Security Camera System will help you capture the reasons why and how inventory loss occurs. A security camera system will also allow you to deter theft by ensuring would-be thieves know there is a surveillance system on site. Safety – As a business owner, you know it’s incredibly important to protect the safety of your property, and anyone who enters it. This is especially true of buildings with public spaces that can be susceptible to crime. This kind of negative activity can lower the value of your business and even deter potential customers. A Security Camera System can assist by deterring negative activity from ever occurring or by capturing video evidence of incidents if they do occur. Video Evidence – There is always the possibility of potential liability throughout the day-to-day operations of your business. A Security Camera System can be a useful tool to capture evidence as it applies to a possible claim, allowing you to protect yourself and your business. Training and Feedback – Ensuring your business is operating efficiently is an important aspect of any business. Being able to review video footage to identify where efficiency opportunities may exist, can help your employees perform better and improve overall business operations. 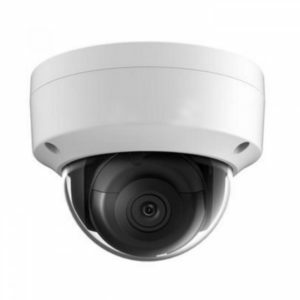 Dome Security Camera – A ceiling or wall mounted camera contained in a discreet dome shape. This camera is well suited for many different environments, and is available in indoor or outdoor housings. 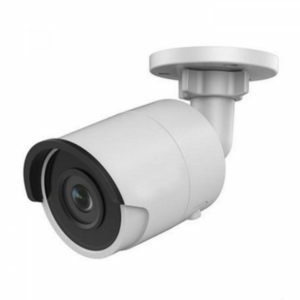 Bullet Security Camera – Bullet Security Camera – This camera is housed in a sleek bullet-style body. A Bullet Camera performs well in areas were lighting is minimal and comes predominantly in outdoor housings. PTZ Security Camera – This camera allows you to control the camera direction and zoom via software. This is a great camera to cover large areas that you can pan across. Box Camera – This camera provides a lot of versatility as it allows you to choose from a variety of lenses. These cameras are primarily used indoors and can be used in a variety of locations. You may have heard mention of choosing between an analog or IP based security camera system. An analog camera system technology is similar to the old tube television sets. The transition to IP based systems has allowed cameras to record in HD 1080 resolution, giving customers a crisp, clear image. IP cameras have also allowed security providers to cover larger areas with one camera where multiple analog cameras may have been required in the past. This factor, combined with the competitive pricing of IP cameras have made this a huge benefit for customers. For 19 years, Bulldog Fire and Security have been an expert in Security Camera installation, having installed a variety of systems in numerous applications across Southwestern, Ontario. To learn more about Security Cameras and the role they can play in your building’s security system, call us at 1 866 670 1590, email info@bulldogsecurity.ca or fill out the contact form below.